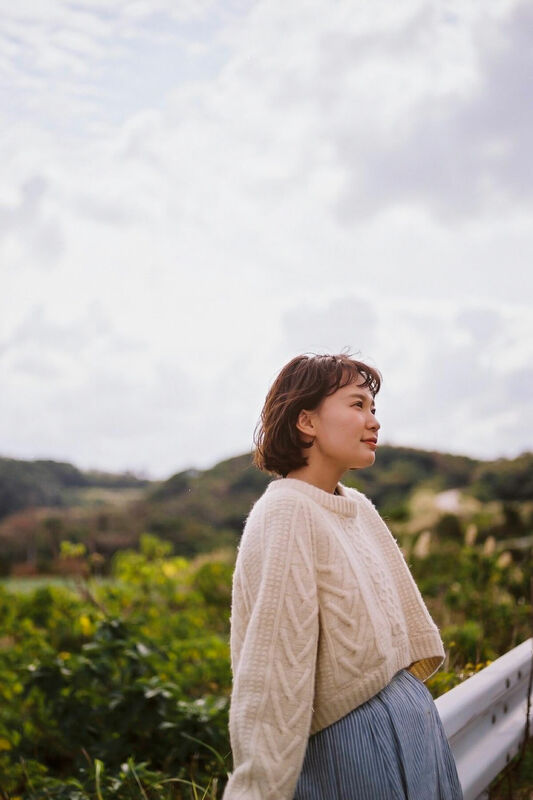 Saki Shibata loves travel, both in her personal and work life. 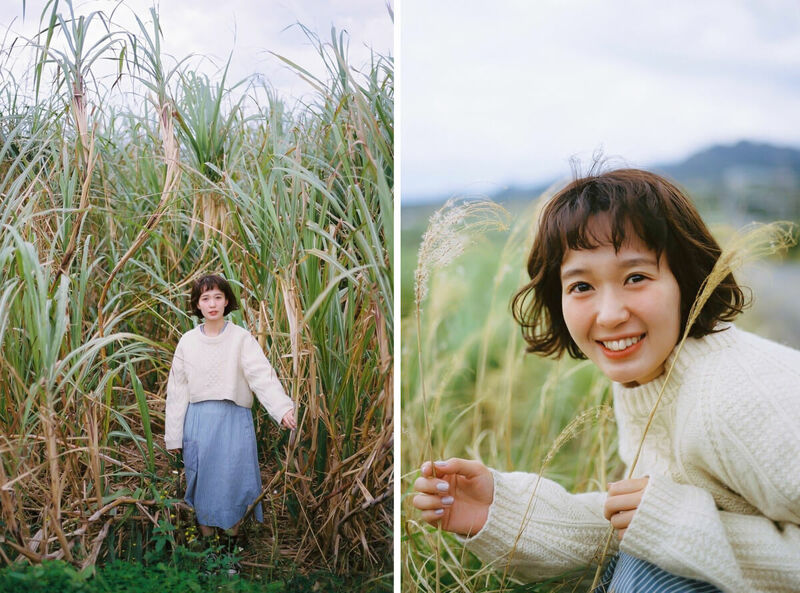 She was recently appointed ambassador of the Tokunoshima Island Gem Project. Her position runs until March 31, and during that time she is going to introduce to all of us the “gems,” or things made on the island, as well as its allures and charms. Saki receives her official ambassador certificate. “I will put my all into promoting the appeals of Tokunoshima. Let’s all work hard, together!” she says with enthusiasm and a smile. 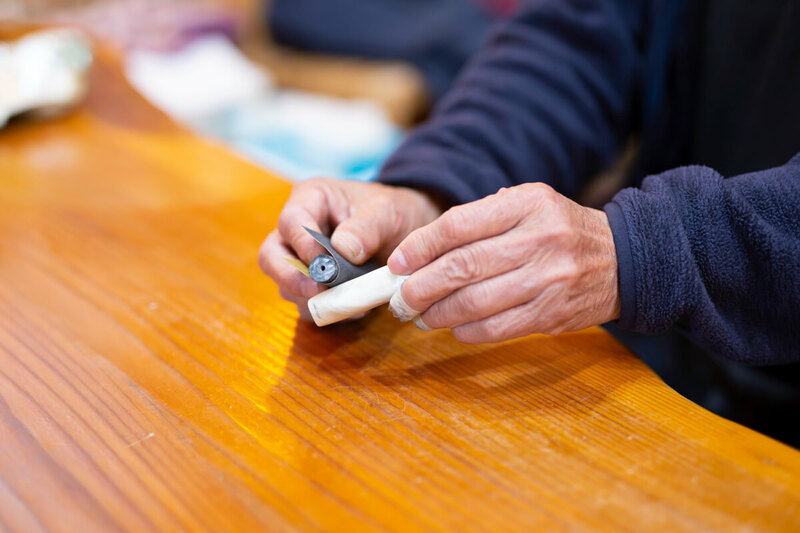 To know the products, Saki must first learn about the people making them and where. She gets her hands on a tourist guidebook of Tokunoshima and studies. The island is approximately 470km south of mainland Kagoshima. It takes about an hour to get from there to the island in a plane. It’s also famous for triathlons and bullfighting. The main produce farmed on Tokunoshima is sugarcane. You can see sugarcane growing all over the island, and there are lots of different products made from sugarcane in souvenir shops. 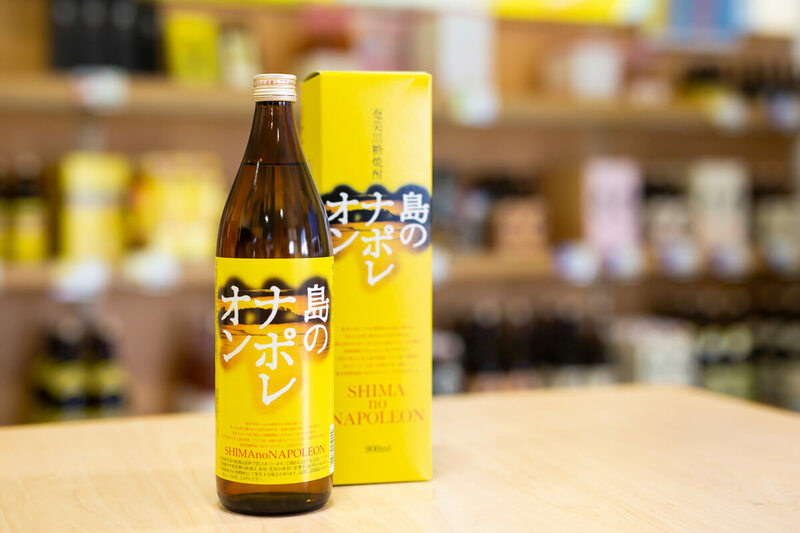 There is a rare and unusual product made from the island’s sugarcane “Shima no Napoleon.” It’s a type of sugarcane shochu sold on the island, outside of which only Amami Ōshima has special approval to make it, a neighbouring island. 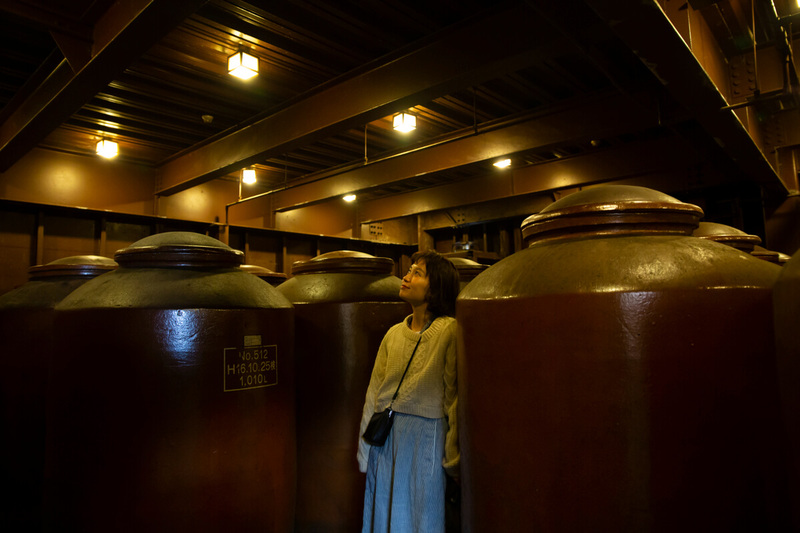 Saki saw the alcohol in shops and restaurants on Tokunoshima. 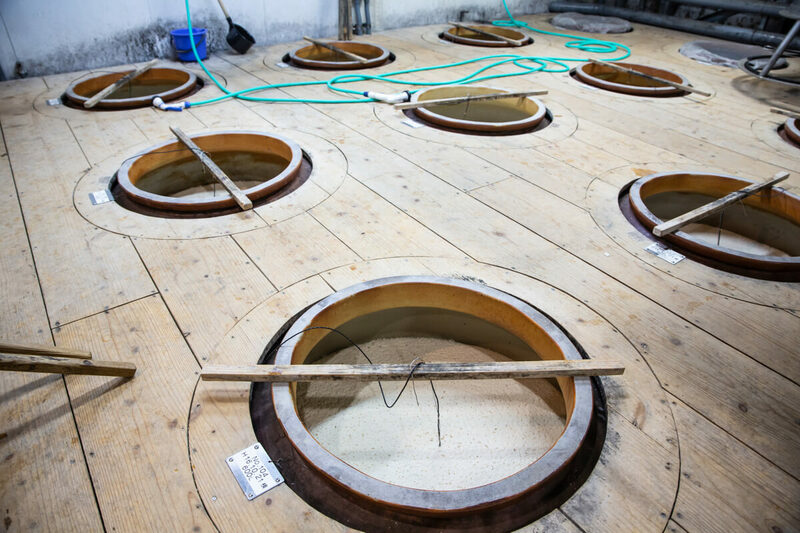 Sugarcane shochu demands delicate control and management in the production process. Multiple types of storage vessels are used to contain it. Saki felt even more so just how special Shima no Napoleon is when she saw the place it was being made. 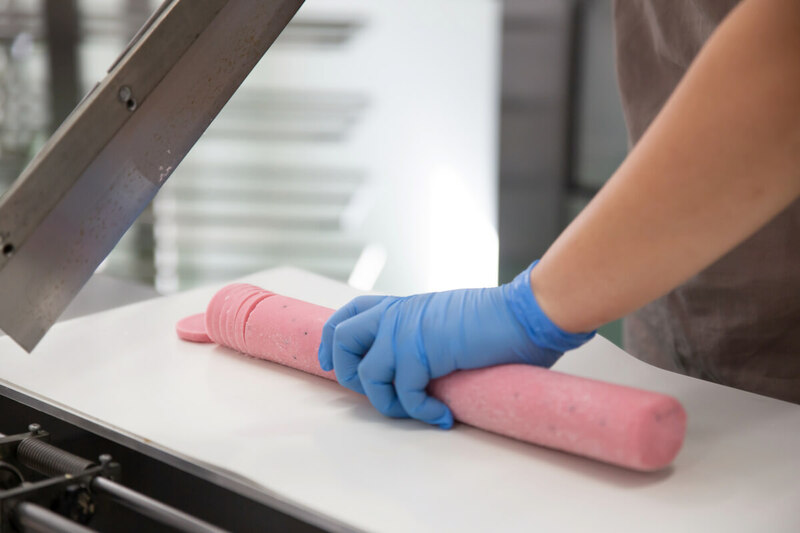 There are plenty more special products being made from the sugarcane too. This includes additive-free cookies. 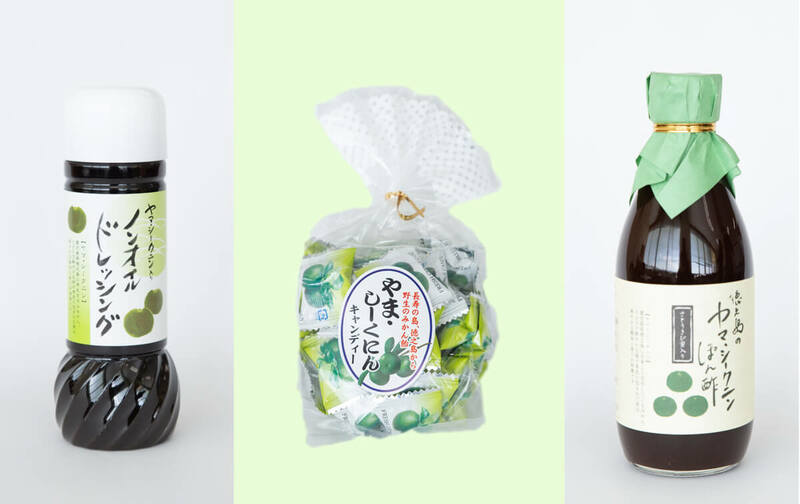 They are sold in various flavours and are made on Tokunoshima. 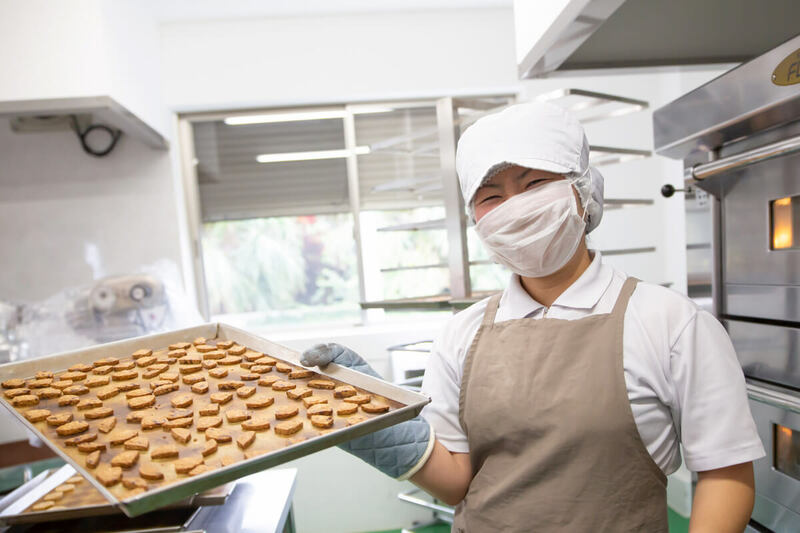 The manager said that the cookies came about from a desire to stock more products in the island’s souvenir shops using things available on the island. Much trial and error was put into crafting the best possible cookies. You can get them in stylish pouches or high quality packaging for that proper souvenir feel. The box type is really cute! The manager also kindly showed us around the factory. He has a wonderful smile! Saki was healed by the harmonious and peaceful atmosphere of everybody working. The reason they sell the peanuts raw is because they want people to eat them with the flavour of their choosing at home. They also come with some simple recipes. Also, when planted, the raw peanuts give rise to sprouts in just a few days. People planting their own peanuts is something they want to encourage too. Let’s take a look at some of the other wonderful products. 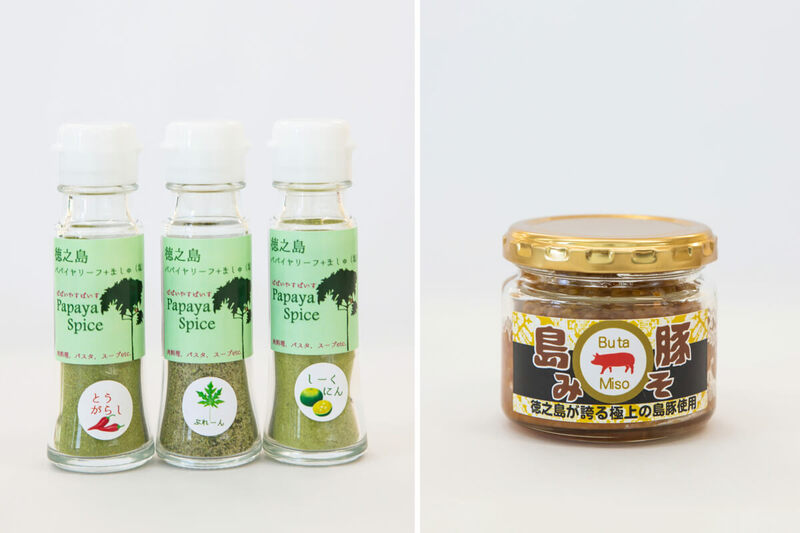 The Papaya Spice, a product of Okayama, goes well sprinkled lightly on meat, helping to bring out the meat’s full flavour. It’s packed with papaya enzymes and is supposed to be good when dieting. The Buta Miso is an accompaniment to a meal and is made from Berkshire pig, ginger, peanuts and other ingredients. If you want to visit Tokunoshima but haven’t got time then we’ve got some good news for you! 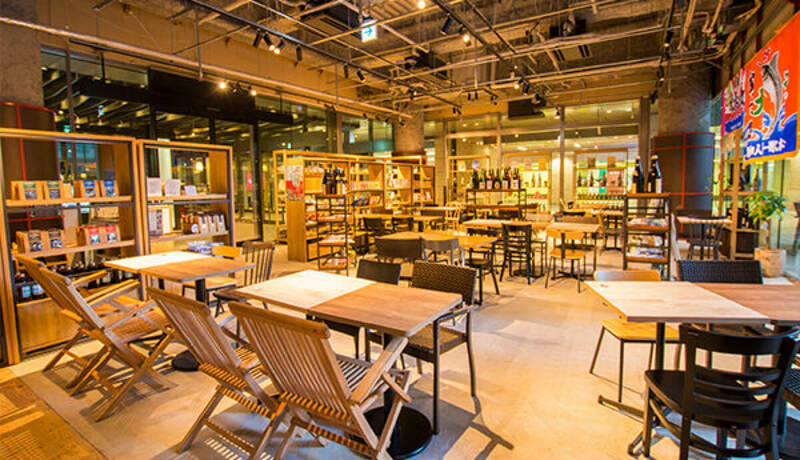 If you’re in Tokyo between February 9 and March 8 this year, all of the “gems” you’ve seen up to now and more can be bought at Rito Kitchen in Nihonbashi. These are available for a limited time only, so head on over ASAP and enjoy the flavours of Tokunoshima. 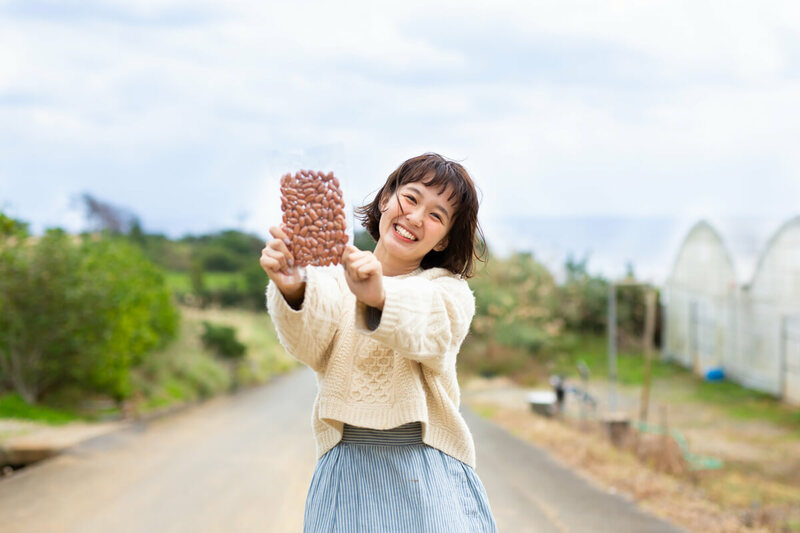 Here are the products that Saki was most interested in when visiting Tokunoshima. 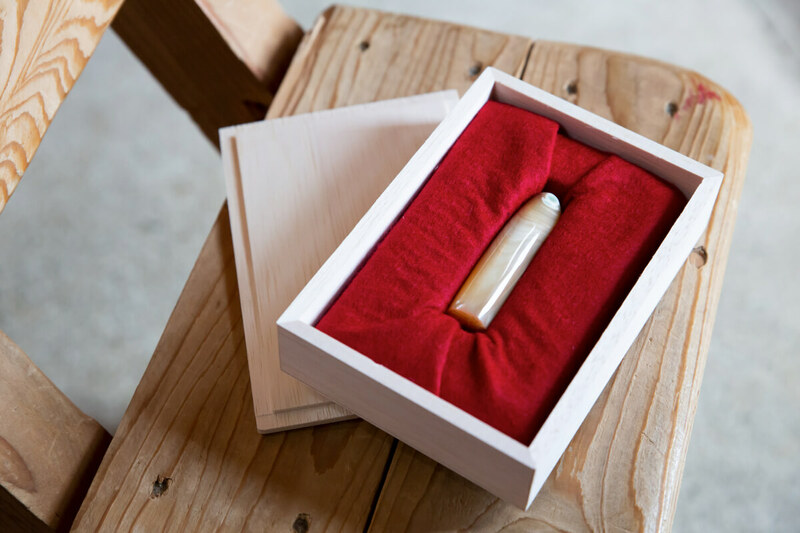 The first is Shima no Hachimitsu, or “Island Honey” made by Shigeaki Maeda. 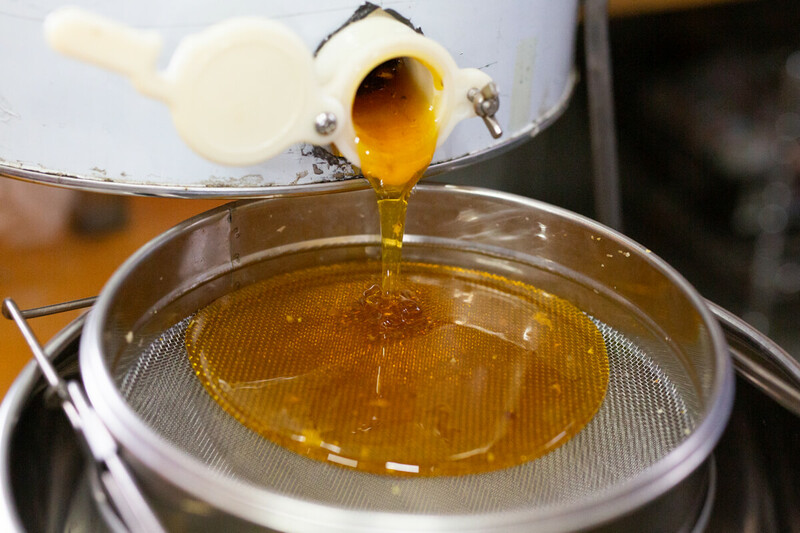 This raw honey contains no sugar or additives. 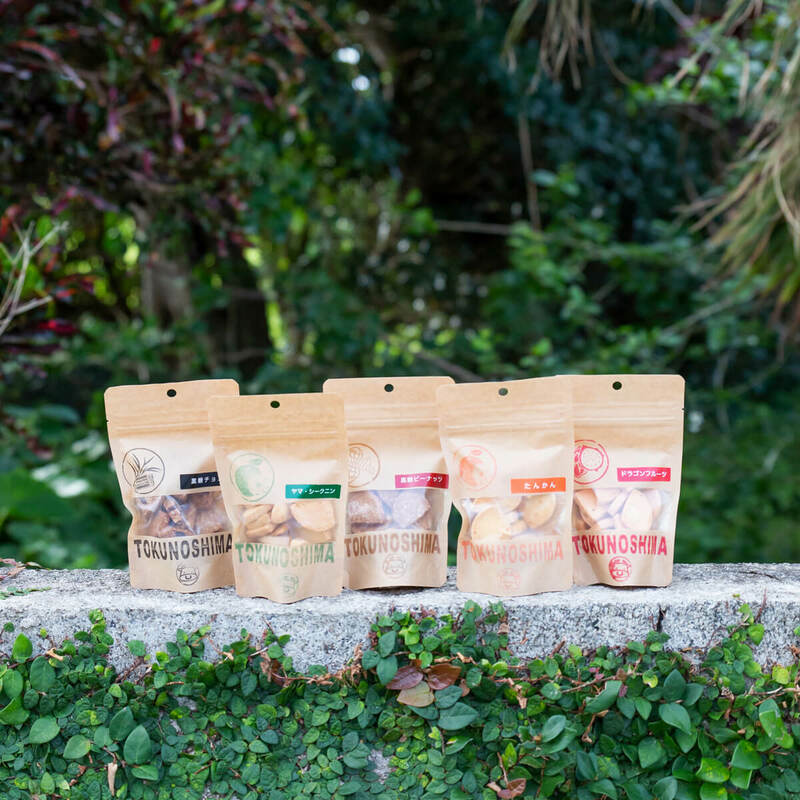 It has a very organic flavour that lets you taste the nature of Tokunoshima. 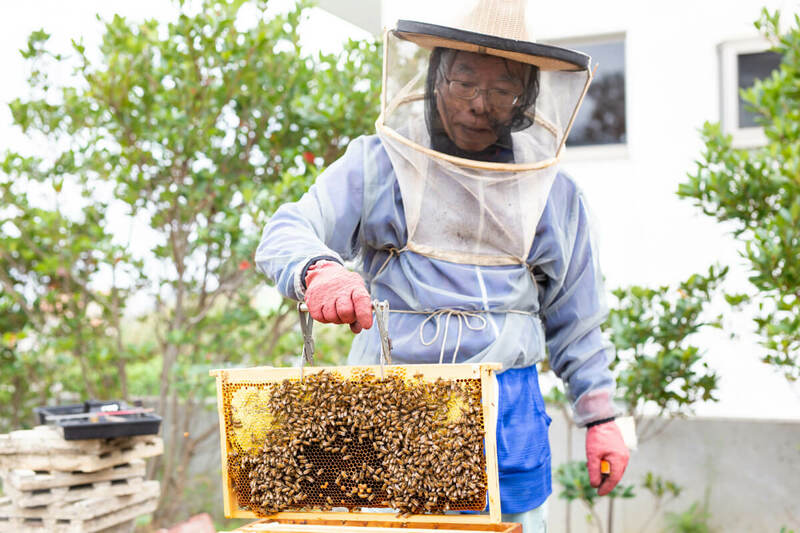 Mr. Maeda handles every part of the manual labour effort when creating his honey, from collecting bees to operating the centrifuge to packaging. 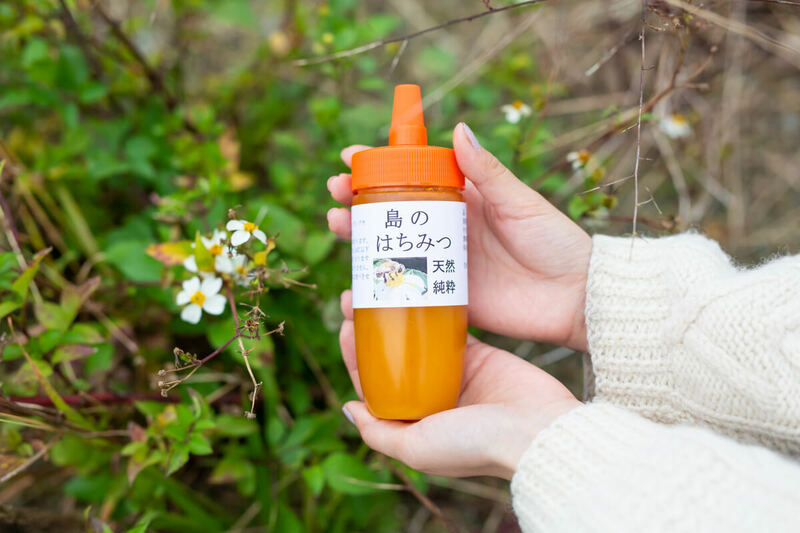 He understands customers may become worried as the concentrated honey solidifies when it’s stored below 14℃ (though this does not affect its quality, he explains), so he sells it from springtime. This is called a Great Green Turban. You often see them spanning 20cm on Amami Ōshima, and you can even prep and cook them. Saki made them herself during her stay and enjoyed pasta and curry. Blue Shell, a Great Green Turban workshop, uses their mother-of-pearls to create beautiful stamps. 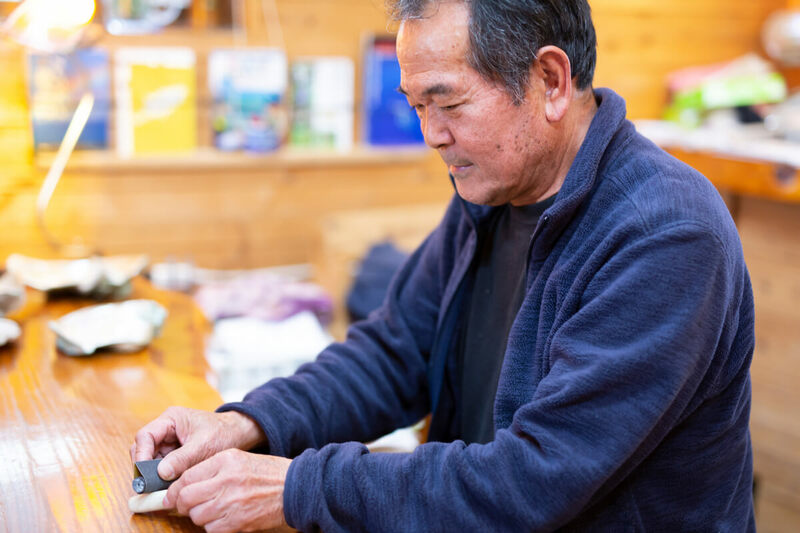 Each and every one is handmade by the owner Umeyama, so all of them have their own unique forms and shapes. 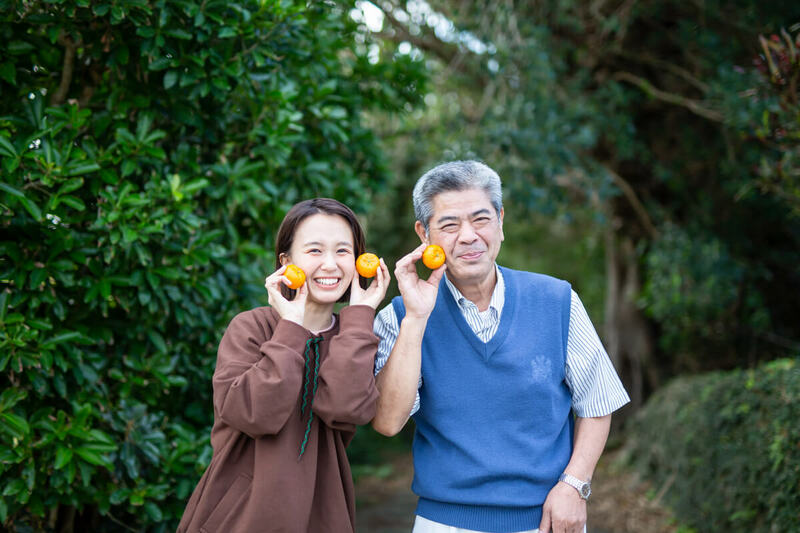 You can’t miss out on products made with oranges native to Tokunoshima either. 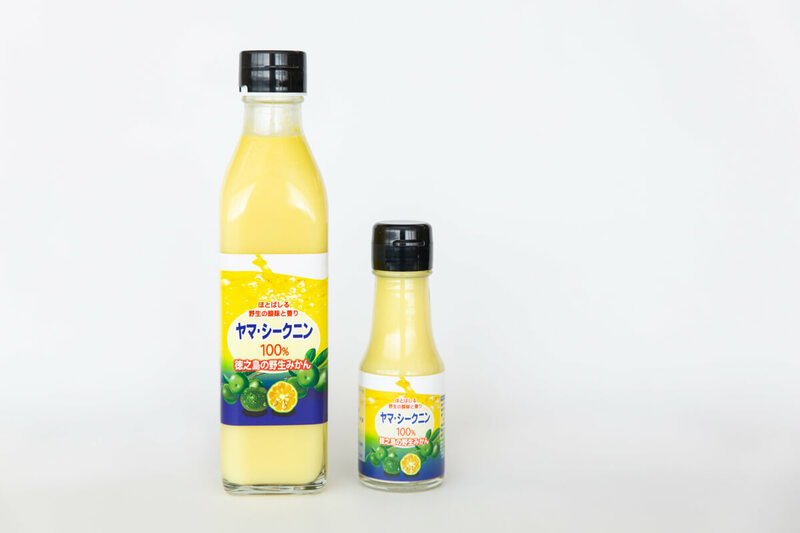 The Dressing Candy, a brand of ponzu, is made with orange juice and fine powder and uses absolutely no agrochemicals. It’s a product that’s hard to get your hands on anywhere else. Tokunoshima Airport is nicknamed Kodakara Kuukou, or “the airport treasured with children.” This comes from the high birth rate up and down the island. When you exit the airport you see women dubbed Nesugatayama as they look like the mountains when laying down. The airport is supposed to give you very good luck! 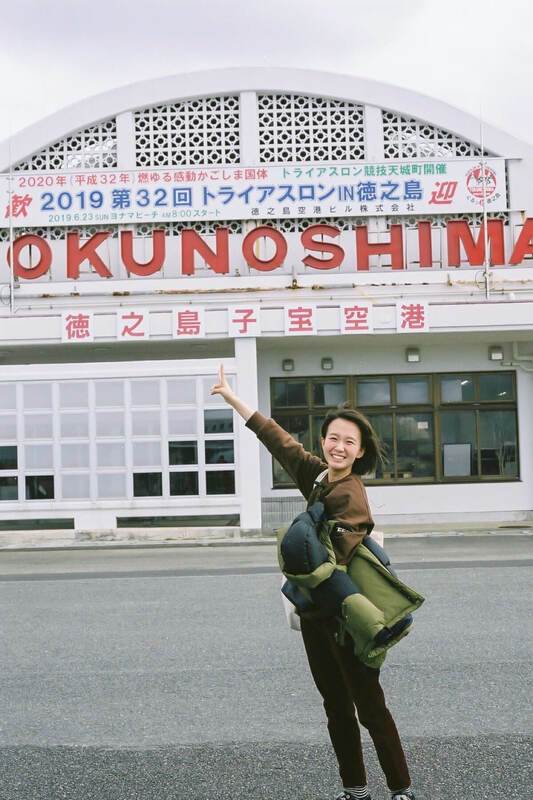 Try discovering the beautiful charms of Tokunoshima yourself too like Saki, the ambassador of the Tokunoshima Island Gem Project, and be sure to visit Rito Kitchen too to enjoy the natural flavours of the island if you can’t make the trip.